South Korean beauty conglomerate Amorepacific is bent on making its presence felt in Southeast Asian markets. 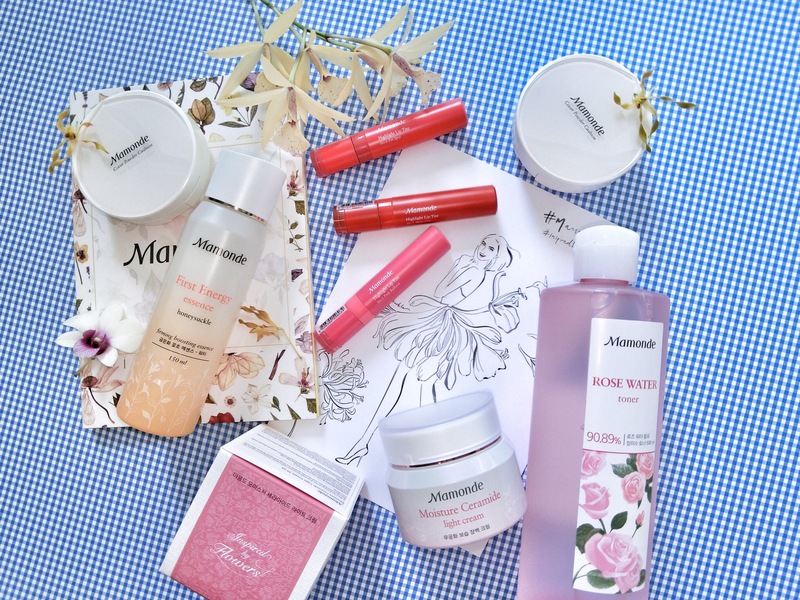 After its successful launches with the premium Laneige, youthful Etude House, high-end Sulwhasoo, and masstige Innisfree brands in Singapore, it now introduces Mamonde to the mix. Inspired by flowers 🌸🌼🌺🌹 (the first-ever beauty product in Amorepacific’s heritage was hand-pressed camellia oil), and created with floral extracts, Mamonde was launched in 1991. Its products feature the ingredients from flowers such as hibiscus, magnolia, camellia, honeysuckle, and lotus. The First Energy Essence made with fermented honeysuckle plant, vinegar and patented lactobacillus to strengthen, and moisturise skin. The Moisture Ceramide Light Cream with hibiscus 🌺 extract and ceramide to keep skin hydrated. Rose 🌹 Water Toner with Bulgarian damask rose water 💦 which is multi-purpose: toner, makeup-remover, facial mist, and to soak mask sheets. Cover Powder Cushion with peach 🍑 flower 🌺 extract. Offers lightweight coverage, moisture, and a satin-matte finish. Highlight Lip Tint in ten flattering shades to brighten the appearance of fairer Asian skin tones. The pigmented liquid lipsticks have a creamy mousse texture, with a satin-matte finish. Long-lasting and opaque in one to two slicks. Stains lips. In a savvy move, Mamonde products are first launched digitally on Lazada before they are sold in brick-and-mortar stores in the middle of this year. Prices start from S$10 for a tube of handcream to $60 for a jar of anti-ageing cream.